In this interview, Dr. Bryan Hayes discusses ALiEM (Academic Life in Emergency Medicine), providing insights on the virtually-based, social enterprise, medical education start-up that offers opportunities to learn about emergency medicine. For many years the inpatient wards of hospitals have been the primary focus of antimicrobial stewardship efforts (which seeks to improve antimicrobial use). 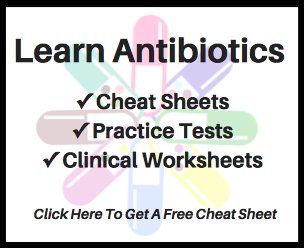 In recent years however, there has been growing interest on how to perform antimicrobial stewardship activities in other areas such as in primary care clinics, dentist offices, and emergency departments. As we look to expand stewardship efforts it is necessary to gain an understanding of clinical practice in these areas. While looking to learn more about antimicrobial use and other happenings within emergency departments, a unique resource that offers a variety of content is ALiEM (Academic Life in Emergency Medicine). I first learned of ALiEM from an emergency medicine pharmacist colleague and over the last several years I have recommended the site to many pharmacy students and pharmacists looking to brush up on their emergency medicine knowledge. The feedback on their experience with ALiEM thus far has been very positive. The leadership and >100 volunteer contributors have developed ALiEM into what is described as a virtually-based, social enterprise, medical education start-up company. Their vision is to lead as a respected institution in advancing education, career development, and community building globally using digital technologies in emergency medicine and other health professions. The activities and offerings from ALiEM are of interest to both trainees and practicing professionals. In an effort to learn more about ALiEM and to also help get the word out about this great resource, I reached out to Dr. Bryan Hayes (@PharmERtoxguy). Dr. Hayes is a pharmacist who has been deeply involved in ALiEM and he is currently on the senior leadership team. He agreed to an interview and the following was composed. 1. How did ALiEM come to be and how did you get involved with it? Academic Life in Emergency Medicine (ALiEM) has been around for quite a while. It started in 2009 mostly as a blog with a focus on clinical EM topics and medical education. ALiEM is the brainchild of the brilliant Dr. Michelle Lin (@M_Lin), a Professor of Emergency Medicine (EM) at UC San Francisco, Zuckerberg San Francisco General Hospital. I connected with Michelle in 2012, via Twitter! We exchanged a few tweets on some clinical topics and she invited me to be part of the blog team. Saying yes was one of the best decisions I have made in my career. At that time there were only 4 or 5 regular contributors. I hit the ground running with one or two blog posts per month, mostly on EM pharmacotherapy topics. I’m often ask where my ideas come from for blog posts. To be honest, most of them come from working in the emergency department (ED). If I’ve been asked the same question a few times, that is usually a trigger for me to write about it. In all, I’ve published over 60 blog posts on the site. It has been so neat working as a pharmacist with a largely physician team, all with the same mission of innovating in medical education. 2. What is the difference between ALiEM and ALiEMU? ALiEM is the original blog site. Our current mission/purpose is to be your digital connection to the cooperative world of EM. We strive to reshape medical education and academia in their evolution beyond the traditional classroom. To give you the scope of our reach, ALiEM had over 1.5 million page views in 2017 from 255 countries. After starting with a small team, we now have a leadership team of over 30 people! Academic Life in EM University (ALiEMU) was born in 2015 out of that mission, a place that we see as the future of health professions education. ALiEMU is a custom learning management system that hosts free educational courses for EM providers worldwide. Our 3 current Series (Capsules, AIR, and AIR-Pro) are designed for all aspects of Emergency Medicine practice. ALiEMU has had an exciting two and a half years of growth and positive feedback from both educators and learners alike. Following the launch of the Educator Dashboard for residency programs, we have grown to service over 200 training programs and nearly 6,000 individual users. We are proud to now support the educational mission of an international residency program, trainees in pharmacy programs, and advanced practice provider groups. In 2017 we have proudly released ten new Modules to pair with growing user numbers and eagerly anticipate the development of a new Series in 2018! To learn even more about the ALiEM team and culture, we recently published our 2017 Annual Report. 3. How can pharmacy students, pharmacy residents, or practicing pharmacists benefit from ALiEM and ALiEMU? ALiEM offers several resources that can benefit pharmacy students, pharmacy residents, or practicing pharmacists. We have many clinical posts written by pharmacists on the site. While most of them focus on EM-related topics, we also cover drug shortages, lots of infectious diseases, and pharmacology/pharmacokinetics. Since the ED sees every type of patient, EM-related topics can generally be applied quite broadly and will benefit many. There are also a few non-clinical series that would be helpful for pharmacists. MEdIC is an interactive series that focuses on difficult interactions and medical education topics. How I Work Smarter in EM is another outstanding series that highlights tips and tricks for being more efficient from world-renown clinicians/educators. I think my favorite resource for pharmacists, though, is the Capsules series on ALiEMU. Admittedly, I am a bit biased as the creator and lead editor. However, I am very proud of what we have accomplished thus far and our plans for the future. Capsules is a free, online e-curriculum of high-quality, current, and practical pharmacology knowledge for the EM practitioner. Each new course module has lessons to read about (or watch) and brief quizzes to complete. With each step, a personal dashboard will keep track of what is completed. The Capsules series’ primary focus is bringing EM pharmacology education to the bedside. Our expert team distills complex pharmacology principles into easy-to-apply concepts. It’s our version of what- you-need-to-know as an EM practitioner. Capsules began in 2015. We currently have 9 modules available, ranging from emergency thyroid disorders to pharmacology of emergency airway management. Our goal is to publish about 25 modules covering most EM pharmacology topics. We published 3 modules in 2017, dedicated significant resources to making the module development process more efficient, and added 2 assistant editors to help bridge the gap between module writing and the end-user’s experience. Our goals for 2018 are to publish 5-6 new modules and assess existing modules for needed updates and further simplification. 4. What is your favorite resource for pharmacists offered by ALiEM and ALiEMU? 5. What do you hope the future holds for ALiEM and ALiEMU? The future is wide open. Michelle continues to lead a top-notch, innovative, multidisciplinary team with the ultimate goal to be the leader in medical education. Dr. Bryan D. Hayes is an emergency medicine pharmacist and toxicologist at Massachusetts General Hospital and Assistant Professor of EM at Harvard Medical School in Boston. After completing a PharmD degree (2005), PGY-1 pharmacy residency (2006), and clinical toxicology fellowship (2008), he joined the University of Maryland team as their first EM pharmacist, a role he served in from 2008-2016. He then moved back home to the Boston area to be nearer to family and for the position at MGH. He is board-certified in Clinical Toxicology. Dr. Hayes’s educational passion is teaching practical EM pharmacology that can improve patient care at the bedside. With this in mind, he co-created the Capsules series hosted at Academic Life in Emergency Medicine University (ALiEMU). Capsules is a free, online EM pharmacology curriculum that distills complex principles into easy-to-apply concepts. I would like to express my appreciation to Dr. Hayes for taking the time to complete this interview and share information about ALiEM.